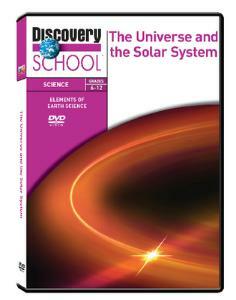 Journey through the universe on an in-depth tour of our solar system. Six detailed segments outline the birth of stars, formations of galaxies, characteristics of all nine planets, differences between inner and outer planets, the composition of asteroids and meteorites and more. Computer graphics also re-create the explosion that is theorized to have created the universe in The Big Bang. Duration: 30 minutes.